Search operation underway in the area of the Tu-154 crash. No signs indicating that an explosion or a fire had occurred on board of the Tu-154 plane before it crashed into the Black sea, have not been detected, a security source told TASS. "After examining the recovered fragments of the plane, no signs of an explosion or a fire have been detected," the source said. Russia’s Federal Security Service said earlier that no evidence had been found linking the crash to terrorism. "The four main versions are an engine being hit by a foreign object, substandard fuel that caused the loss of thrust on and eventually stopped the engines, the pilot’s mistake and the plane’s technical failure," the FSB said. The plane crashed into the Black Sea in the early morning hours of Dec. 25, soon after taking off from the Sochi airport. The aircraft was carrying 92 people on board including military servicemen, journalists, charity activist Elizaveta Glinka as well as members of the Alexandrov Ensemble, who were being flown to Syria to perform in front of the Russian troops in the run-up to the New Year. 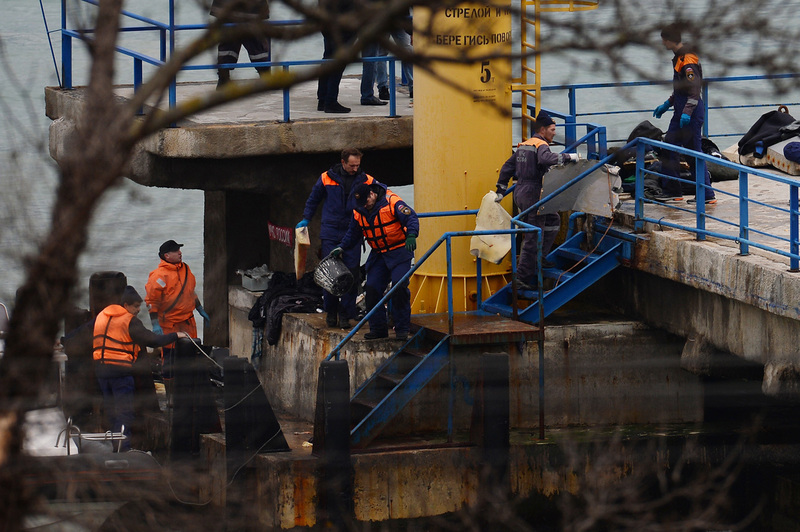 The plane’s fragments were found several hours after the crash 1.5 kilometers off the coast near the city of Sochi at depths of 50-70 meters.